It’s the BASIC programming language’s 50th birthday. The first BASIC programs ran at Dartmouth College on May 1, 1964. BASIC proliferated in large part thanks to early personal computers, so much so that for a long time to be able to operate a personal computer meant to program it in BASIC. Like so many geeks my age, my first encounter with a personal computer (a Commodore PET) brought me face to face with BASIC. I was drawn in. 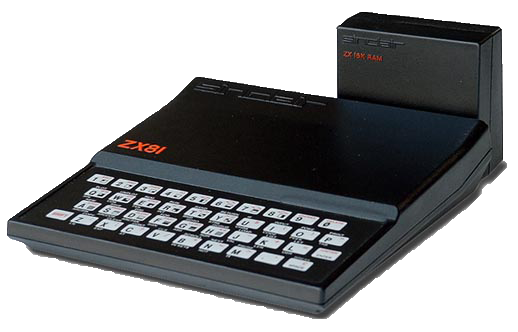 My dad bought me a Sinclair ZX-81 so I could teach myself the language. I later moved on to a Commodore 64 and an Apple II. I spent untold hours writing BASIC code. I fell in love with being able to make a computer do the things I wanted it to do. I wrote whatever felt good to me, programming just for the joy of it. I mostly wrote simple games, but I even once wrote a reduced version of BASIC in BASIC just to see if I could do it. When the geometry teacher got wind that I had written a program that drew any regular polygon on the screen, he asked me to demonstrate it to his classes. He liked my work so much that he suggested that I could study this in college and do it for a living. “Wait – what?” I thought. “People do this for a living?” It may seem astonishing now that the idea hadn’t occurred to me, but in the early 1980s software development was still an unusual career choice. His encouragement got me to apply to engineering school, where I studied mathematics and computer science, which led to my first job working for a software company. That was 25 years ago and I’m still in the industry. It was easy to criticize BASIC back then because it was so rudimentary. But all of us who first learned to code using it built upon that knowledge as we explored more powerful languages. I next learned Pascal, and then C++, and later a little Visual Basic. All of those languages featured complexities that were easier for me to scale because I had already mastered standard control structures in little old BASIC. It’s been a long time since I’ve written any code. I fell into the testing side of software development and I’ve happily made my home there for a long time now. But I’ll forever be grateful for BASIC for being my guide into this world. More reading: a Time Magazine article about this anniversary (here), and Dartmouth’s celebratory site “BASIC at 50” (here).